Tue., Feb. 21, 2017, 11:45 p.m.
On USF’s next possession, Minlend tried his luck again but Z-bo (or Z-Bo or Zbo, we’re not quite sure of the formal spelling) came off his assignment and challenged the shot. It bounced off the iron and into the hands of J3, who was fouled on the low block at the other end. Translation: J3, or 3, is Zags’ junior forward Johnathan Williams, whose dad and older brother share the same first name; J-Mat is senior guard Jordan Mathews; Snacks is redshirt freshman guard Zach Norvell, a nickname reflecting his affinity for sweets as a youngster. The top-ranked Zags – and nearly every basketball team from Parks and Rec to City League – have a language of player nicknames unique to their squad. Coaches regularly use the monikers in postgame interviews or when addressing players during timeouts or practice drills. Players refer to each other by their nicknames more than their actual names, which became the genesis for this article. Earlier this month Nigel Williams-Goss – “That’s kind of a tough one, usually it’s just ‘Nige,’ Collins said – sat out the Santa Clara game with a sore ankle. That opened up some minutes for sophomore wing Bryan Alberts, who provided a 3-pointer, three assists and solid defense on Broncos standout guard Jared Brownridge. “Silent Larry, BA, did a great job,” Mathews said later in the locker room. “I’m kind of quiet,” Alberts explained. “On the court, coach (Mark) Few wanted me to talk a little bit more so he gave me the nickname Silent Larry until I talked more and then he said he’d change it. 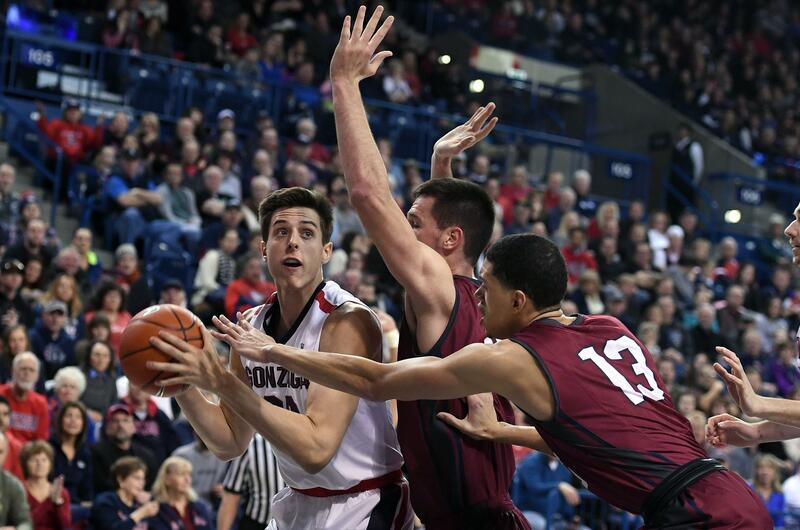 Gonzaga has a rich history of nicknames during its 18-year run of NCAA tournament appearances. Some were simply a combination of the players’ initials, such as Richie “RF” Frahm or Dan “Double D” Dickau. Axel Dench, a member of the 1999 Elite Eight team, was “Ups” because of his deep voice and Australian accent. Blake Stepp was “Helmet,” in reference to his helmet-shaped hair. Cory Violette was “Chunk” for carrying an extra pound or two. “He preferred “Chisel,” assistant coach Tommy Lloyd noted. Physically imposing Casey Calvary was Casey because “everyone was too scared to call him something else,” Lloyd cracked. Some nicknames are outdated but they’re not going anywhere. “My dad (Zach Sr.) played at New Mexico State and he ate a lot of junk food,” Zach Jr. said. “Everyone was like, ‘Man, your son is going to eat a lot of junk food, too.’ When I was really young I loved candy, snacks, so everybody said it fit me well. Ryan Edwards is the “Big Dipper” or “Dip” for short. Published: Feb. 21, 2017, 11:45 p.m.